What makes the ICA Kindergarten Program Unique? 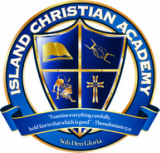 While Island Christian Academy is﻿ decidedly academic, ﻿the kindergarten program﻿ incorporates the Bible into the learning day using Bible stories, weekly chapel services, learning scripture, praying and singing songs that tell of God's love for us. ICA offers full day kindergarten with a classical approach to learning using songs, chants, and memorization to help stimulate a positive learning environment. By incorporating a variety of teaching strategies, the classical program provides age-appropriate activities while laying a sturdy foundation for future learning. The curriculum is designed to challenge and encourage each child to become an active learner through large and small group instruction. We use a carefully planned course of academic study that includes the Spelling to Write and Read Program (SWR) and Saxon Math.